There’s no better view than an ocean view, and our hotel Sandos Cancun Luxury Resort has some of the most spectacular views of the Caribbean Sea. One of the top spots for enjoying an ocean view at Sandos Cancun is from our snack bar St. Trop, and we just finished up an unbelievable renovation to this space. 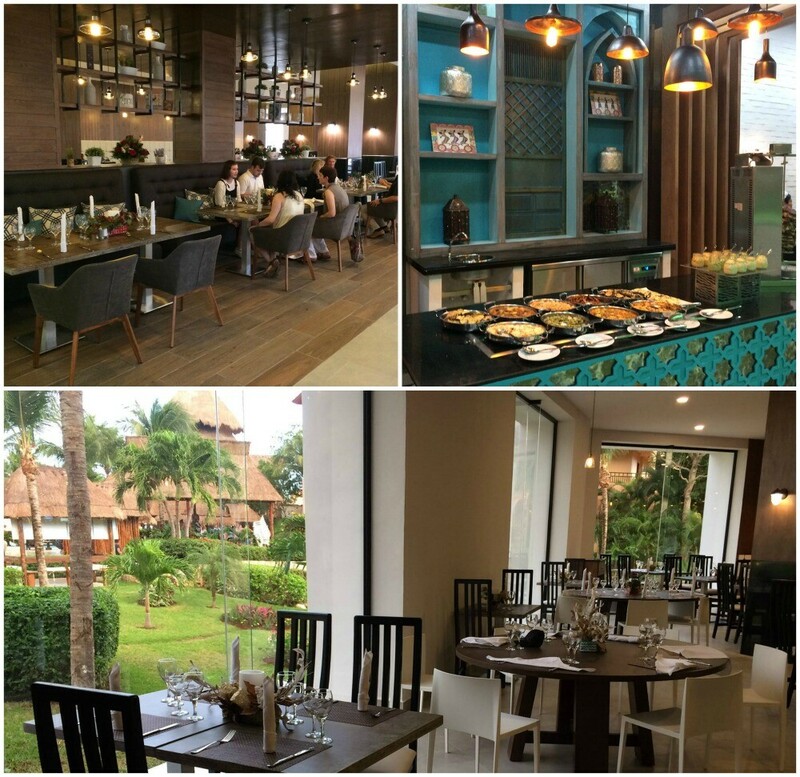 Located by the beach and the pool area, St. Trop serves snacks and lunch in a laid-back atmosphere. Now with its new design, this restaurant is mostly enclosed for added comfort on a sunny afternoon, but with huge windows so you don’t lose that famous view. The new menu has classic snack food like ceviches, burgers, hot dogs and wings, but always with a gourmet twist. 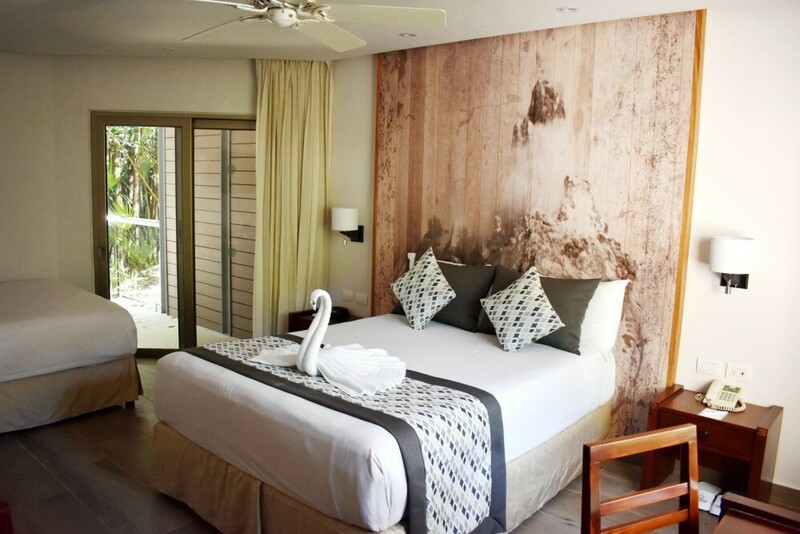 Since Sandos Caracol Eco Resort is surrounded by gorgeous natural scenery like jungle and mangrove, we decided to launch a new collection of rooms inspired by the nature of the Riviera Maya: our Signature Eco Collection. These guestrooms are located within the Family Section, distributed throughout villas situated in the resort’s natural areas. We offer two categories in this collection: the Signature Eco Superior, and the Signature Eco Junior Suite (ideal for families, with bunk beds, two showers, and a plunge pool on the balcony). Guests staying in these new guestrooms have special amenities like free in-room WiFi, bathrobes and slippers, and 24-hour room service. Click here to see more details on these lovely renovated guestrooms. Come See Us in the New Year! 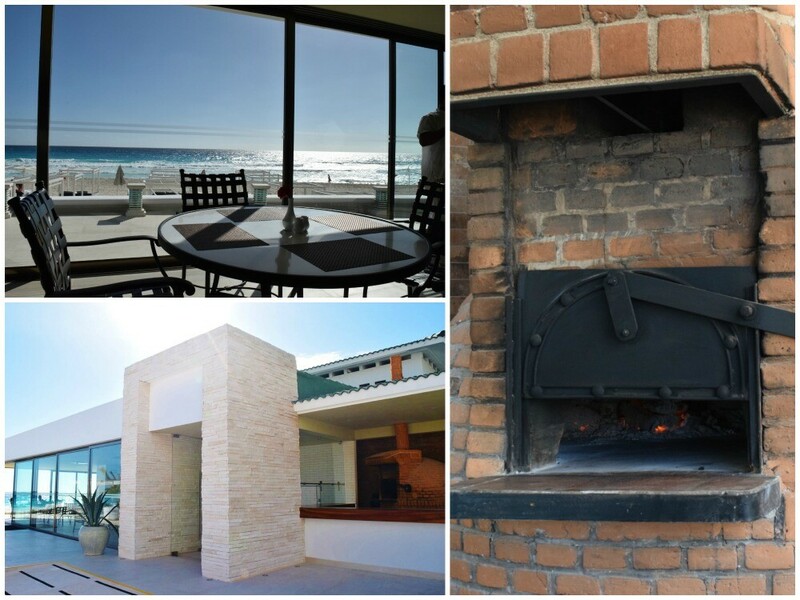 As you can see, we’re excited to offer you so many comforts and updates in 2017, as well as our incredible locations in the best destinations Mexico has to offer. We hope to see you here at any of our resorts this year for an amazing beach vacation. Hi we are due to vacation with you in Nov 2017, we have been advised that there is some construction that will be underway at this time. Can you confirm the areas this will affect and how much work is planned? can we request rooms away from this? Thanks! Hi, thanks for your reply 🙂 we are due to stay at the Sandos Caracos Eco resort in November. I have sent an email to the above email, thank you for this. hopefully they can provide us with a bit more information? We are excited to visit Sandos Caracol in early January 2018!!! We are booked with our family of 5-2adults and 3 boys under 9yrs of age in the new Signature Eco Junior Suite!!! We love the idea of the rooms offering the bunk bed with a trundle bed so all 3 boys can sleep in there own bed!!! Also the 2 showers and toilets sounds brilliant!!! Bonus will be the plunge pool!!!! The whole Resort sounds amazing and cannot wait to experience all the features you offer!!! Is there current construction still underway? Hi Sam, not to worry, all construction for the moment has been completed. We alawys stay at Sandos Cancun, and I have to say that 2 of the eating place there are not up to par at all, that would be the steak house and the asian place, the food is way under what it should be, and we have complained many times, and they have fixed it for that moment, but going back we experienced the same low quality, please dso something about this. Hi Richard, Thanks so much for your feedback! It helps us to identify where we can improve. We are always striving to become better and better; your comments are greatly appreciated, and we hope your next stay is to your full satisfaction. Me interesan promociones ya los visitamos hace un par de años y nos encanto. ¡Esperamos verte muy pronto aquí en tu casa! somos 7 adultos 4 niños y un infante, tendrán alguna promoción ??? ¡Saludos y esperamos verte pronto en Sandos! 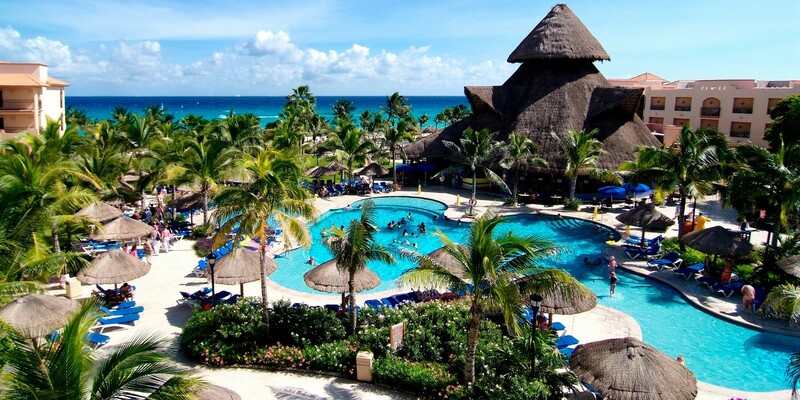 Tienen promociiones directas del Hotel?….. ya me han fraudeado dos ocasiiones que me cobraron y no me hicieron reservas con Uds. creo que por haber sido a traves de agencias (Megico Magico?) Y (Mexico-tavlers)…… y que finalmente perdi dinero con ellos. Si tienen promociones que pudiera aceder a ellas me interesa considerarlos en mis tiempos de esparcimiento……. ¡Esperamos recibirte muy pronto en Sandos! Increible!! No puedo esperar a ver las reformas, fui en octubre de 2015 y fue el mejor hotel que conocimos de playa Car! Es por lejos el mejor! Nunca un hotel nos hizo tener tantas ganas de volver todo es un espectáculo a la vista! I believe Sandos Finesterra also opened a roof top open-air bar this year. The area is large enough for social events. It has a spectacular view of a beautiful Cabo sunrise and overlooks the beautiful marina filled with luxury yachts.